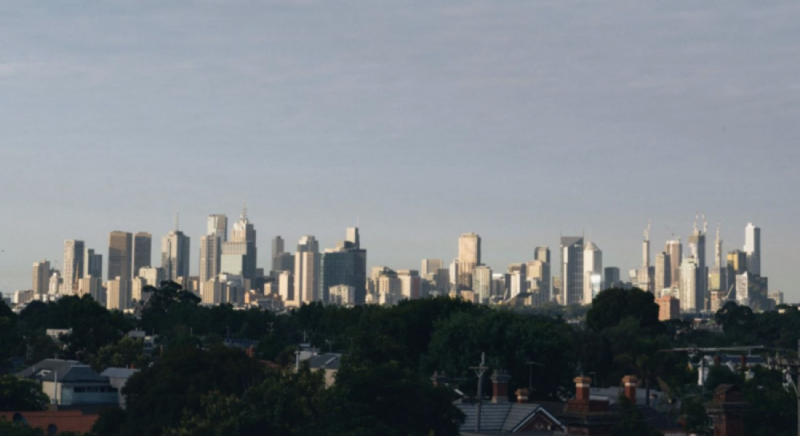 Homes in the outer suburbs are the fastest selling in Melbourne, thanks to high demand from first-home buyers, experts say. 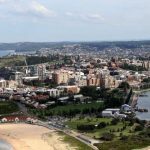 Of the 10 suburbs where houses spent the shortest time on the market last year, seven had medians less than the $600,000 threshold for first-home buyer stamp duty concessions, according to Domain Group data on private sales. 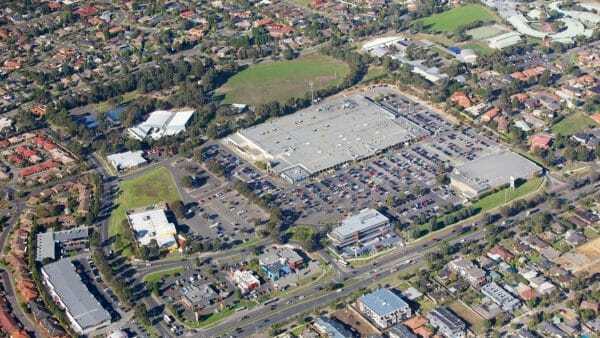 Rowville, in the outer east, was the fastest-selling suburb for houses and also had the highest median in the top 10 – $856,500 – still less than Melbourne’s median of $903,859. 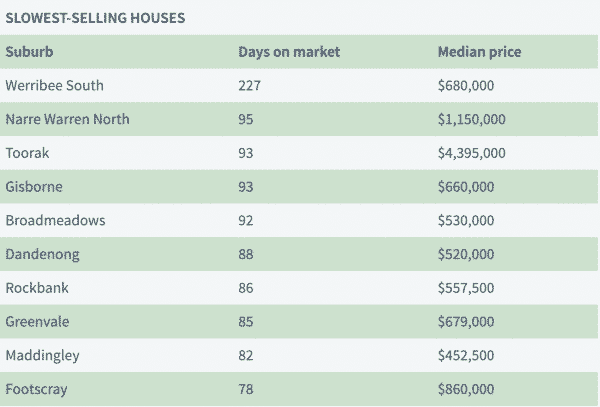 On average it took just 22 days for a house in Rowville to sell. Local Barry Plant director Anthony Johnson said many sold after just one day. 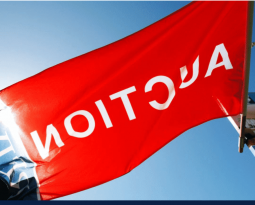 Frankston North, with a median house price of $470,000, took the second spot with and average on-market time of 23 days, followed by Carrum Downs (median $525,000), Cranbourne West ($511,000), Ferntree Gully ($740,000) and Hampton Park ($500,000), where houses spent an average of 24 days on the market. Property expert and executive chair of WBP Group Greville Pabst said lower-priced homes always sold more quickly, and that stamp-duty concessions for first-home buyers made this particularly true in 2017 and the first part of this year. He said properties between $600,000 and $1 million were also highly sought after. 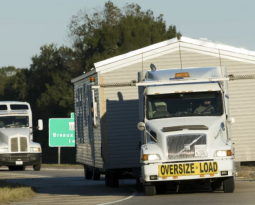 “That’s the sweet spot, so in that price range you have a lot of people who can afford to buy and there’s a lot of demand,” Mr Pabst said. 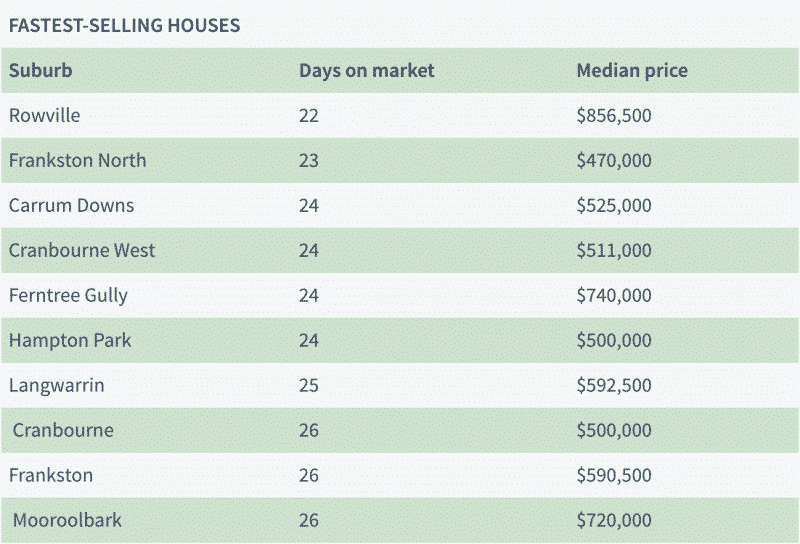 The 10 slowest-selling suburbs were also dominated by affordable areas on the fringes, including Werribee South, Rockbank and Greenvale, but were not as well-established as the top 10. Toorak, which had a median of $4,395,000, took third spot on the slow-sellers list, with houses spending an average of 93 days on the market. Mr Pabst said this was not unusual for exclusive suburbs. “Sometimes it can take three months to sell a prestigious property, particularly because the pool of buyers is so much smaller,” he said. 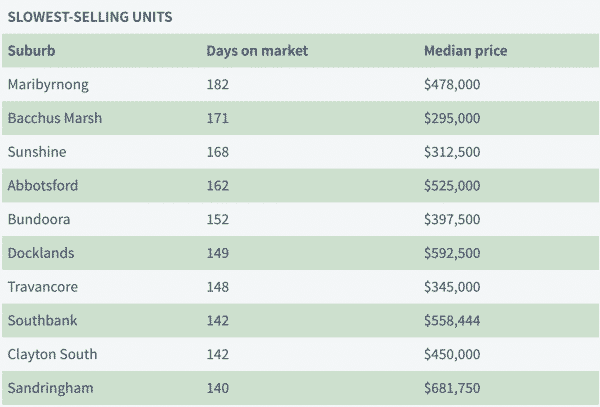 Croydon took the top spot when it came to the fastest-selling units. 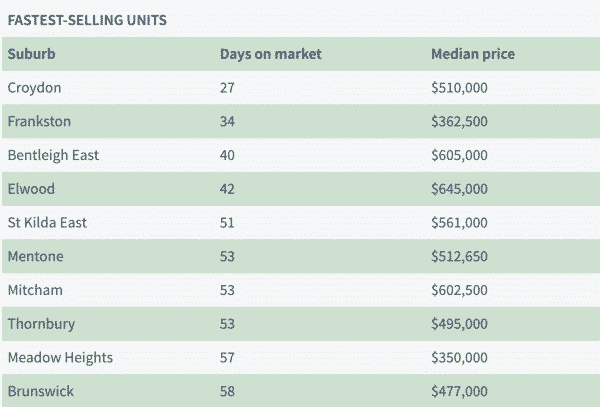 The eastern suburb with a unit median of $510,000 had an on-market average of 27 days. 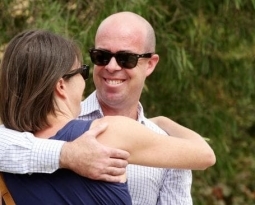 Older-style, brick units with a bit of land were common in Croydon and Fletchers Real Estate Maroondah Director Reilly Waterfield said mum and dad investors were buying them up. “Banks are often more in favour of slightly dated units with more space than brand new off-the-plan apartments,” Mr Waterfield said. 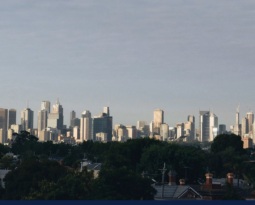 Other top suburbs for rapid unit sales were in the desirable inner-ring close to transport and entertainment, including St Kilda East which had an average number of days on market of 51, Thornbury (53) and Brunswick (58). Mr Pabst said units were popular in areas close to amenities – mainly because they were more affordable than houses. “Housing is getting so expensive that an apartment is a cheaper alternative particularly for younger people,” he said. The slowest selling units and apartments were in areas where there was a large supply, Mr Pabst said. 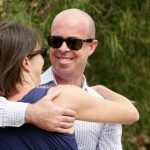 “For example in Docklands, there’s more supply of apartments on sale, therefore because of that extra competition it’s going to sell,” he said.